Rest in Peace, Ma'am. May the Lord comfort your family and fellow officers of the Des Moines Police Department during this terrible time. Thank you for your service and sacrifice for the citizens of Des Moines. Thank you for your service and dedication. Rest in peace sister. Rest in Peace Officer Farrell. Thank you or your service. My thoughts and Prayers go out to your family, co-workers, and friends. It seams the more we give the the more they take. God be with the family. 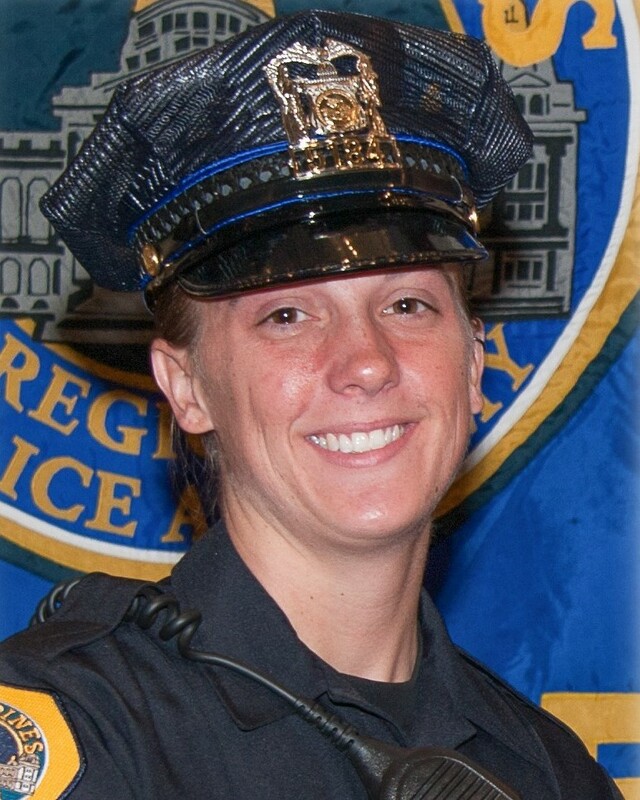 My sympathies to the family of Officer Farrell and her colleague who also gave his life. She was to young to die such a horrific death. While we are not related, we share the same name and my wife is also Susan Farrell. rest in peace Officer Farrell. US Army Military Police Ret. Rest in Peace Officer Farrell. Our thoughts and prayers are with your family and department. "Then I heard the voice of the Lord saying, Whom shall I send? And who will go for us? And I said, Here am I. Send me!" Dear Susan, Kim, (your Sister-In-Law) has told us so much about you. How loved you are, what a GREAT Mom and wife. Our Dad transported prisoners at Ionia (Michigan) Prison until he retired. We feel like you are a dear friend as much as Kim loved you and talked about you. Rest in peace, you will be missed so much! Kim and Family, please know that you are in our prayers always! My condolences to the family and friends of Officer Farrell's friends and family, as well as her brothers and sisters on the Des Moines Police Department. RIP sister. Rest in eternal peace, sister, for we have the watch now. Your family and your brothers and sisters in uniform, our brothers and sisters, too, are in our thoughts and prayers. May they find comfort in remembrances of your dedication and service. Rest in eternal peace, brother, for we have the watch now. Your family and your brothers and sisters in uniform, our brothers and sisters, too, are in our thoughts and prayers. May they find comfort in remembrances of your dedication and service. May God help you to find comfort and peace during this difficult time. Keeping you all in my prayers. God Bless. Rest in peace sister. Thoughts are with your family both blue and blood during this difficult time. Thank you Officer Farrell for your service and dedication to your community. Rest in Peace Officer Farrell. I ask Our Heavenly Father to comfort and watch over your family, friends and the Des Moines Police Department. Thank you for your service. God's speed sister. ASAC, Thomas H. Kelly Jr.
Our deepest condolences to the families, department, and friends of these fine officers. May God give you all peace during this time. Farewells are not easy but rest assured they will not be forgotten. Rest in Peace our Sister in Blue. Prayers for all of your family, friends, and co-workers. God Bless you Officer. Rest In Peace Ofc. Farrell & God Speed. Rest with God Officer Farrell, your tour here is done. Thus you are home. Prayers for your family during your home going. God bless all who serve! My prayers are with your family and loved ones. Rest in Peace.